Repertory Philippines latest offering for its 82nd season, the Father’s Day by Eric Chappel is one big surprise in terms of humor, a very light and entertaining play that revolves in one broken family that will be assemble again after reuniting and confronting all the issues, and God forbid those reasons are all hilarious. Repertory Artistic Joy Virata explain that this closing show for the season is a must see, upon reading the script for Father’s Day the admit laughing at it wholeheartedly. “We just had a historical play now we have a comedy, next time we will have a very intellectual but really entertaining play, will give you a whole range of theater, and now it’s time to laugh light, life comedy hope you enjoy.” Virata said. 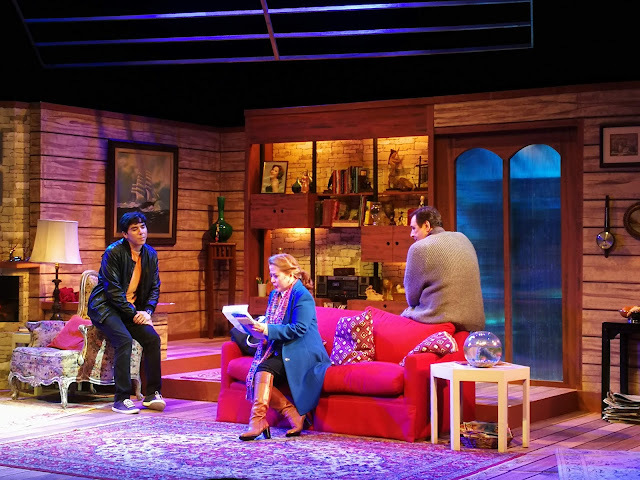 This British play focus on the story of Willows Family, Miguel Faustmann play Henry the father that lives independently for sometimes, until his son Matthew and his girlfriend Christine show up and the ghost of the past came back again, a lot of explaining happen until Mother Sue also arrive in the picture, and that reunion scene is one hell of comedy. During the question and answer portion, it was revealed that Faustmann did the beautiful set, I love how it was design that create a homey ambiance complemented of course with great lighting. Liesl Batucan who act as Sue is so good in this, we all have fun in her giggle scenes acting like a 14 year girl who is about to be kiss for the first time by the boy of her dreams, she was the assistant director of the play as well. Other cast include Andres Borromeo as the charming Matthew, he was last seen in Repertory‘s Rapunzel, and there are two lady alternating for Christine, the real life sisters Becca and Rachel Coates. Father’s Day is under the direction of Baby Barredo. 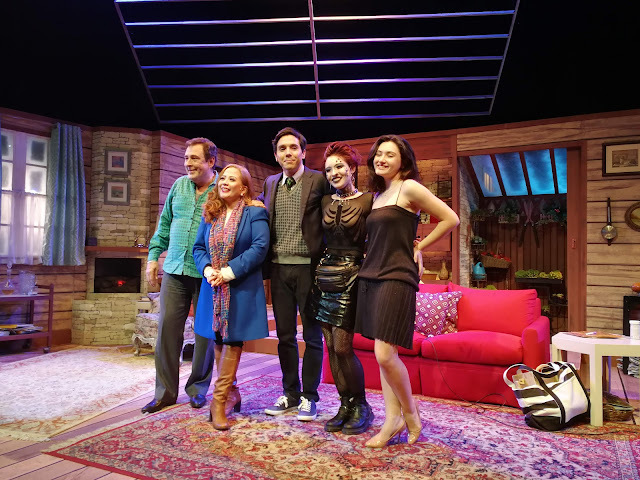 Show will run until April 14, 2019 only at Greenbelt 1 Onstage, you may purchase your tickets now by calling REP at 451-1474, Ticketworld at 891-9999, or by logging on to www.ticketworld.com.ph.